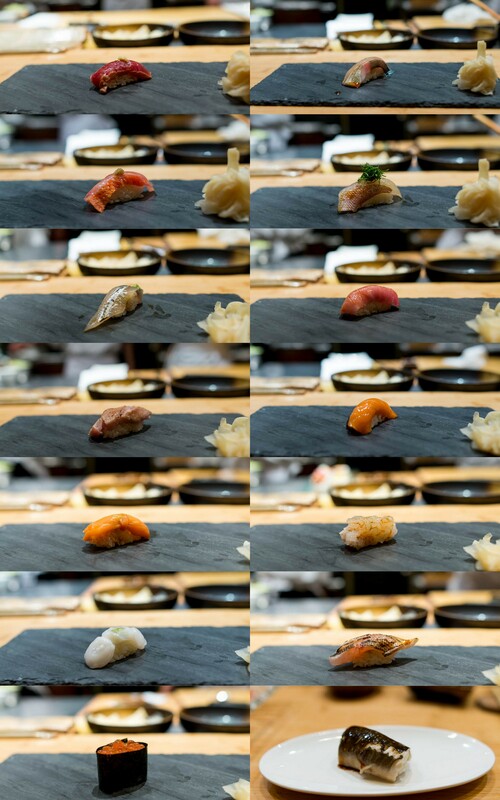 A good omakase should feel like a dream sequence. 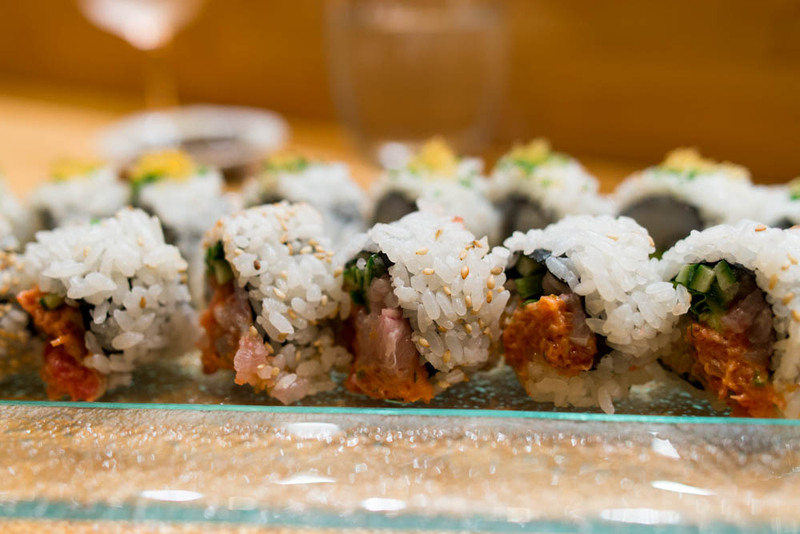 A dream where single pieces of sushi with delicate pieces of fish draped across the top appear magically in front of you from the nimble fingers of a chef trained in the craft. There is a subtle flow to the meal, all seasoned to perfection with no need for soy sauce. And as soon as you deliver the still warm rice and fresh fish into your mouth, another appear and another and another, until you are politely reminded by the chef that the end is near. You savor that one last bite, drifting back to reality as it disappears. 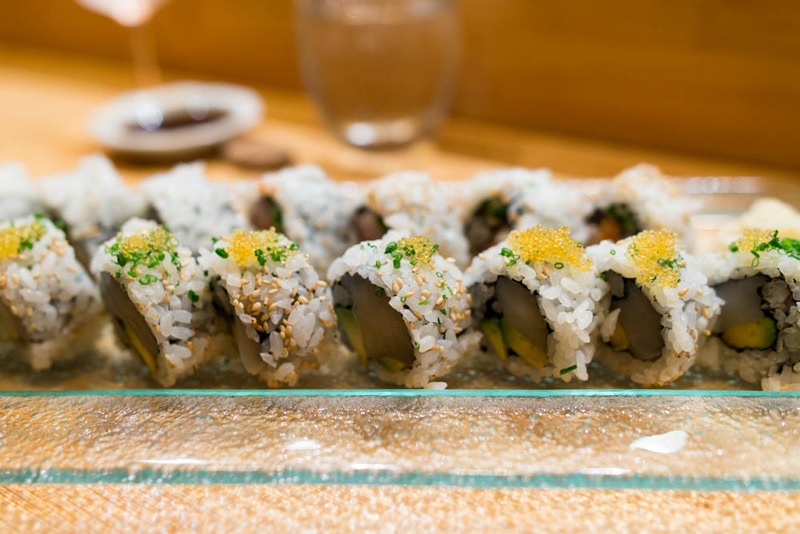 My most recent omakase experience was at the little tiny sushi bar, Jewel Bako, tucked on a quiet street in East Village. The best spot to savor such an experience will always be at the bar where a small team of chefs work diligently throughout the meal. 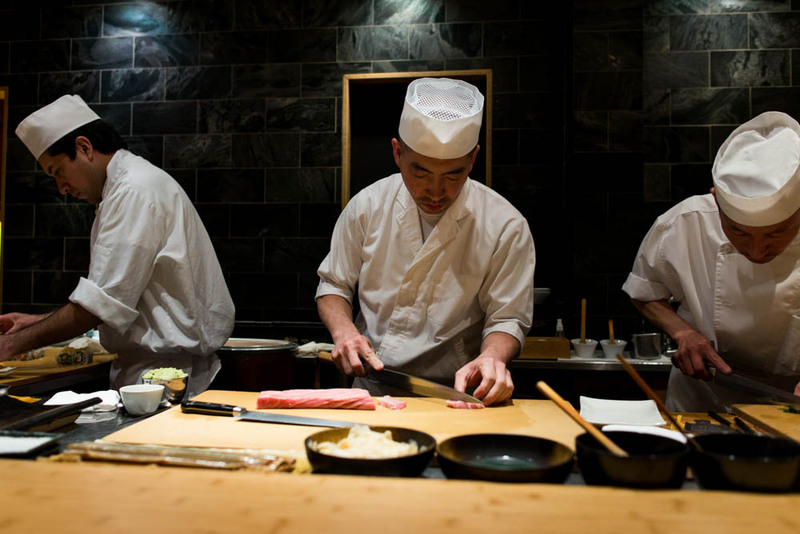 The way they slice gracefully through the fish and form each bite one at a time was mesmerizing, sometimes front and center when they apply the blow torch and at other times elegantly fading to the background. 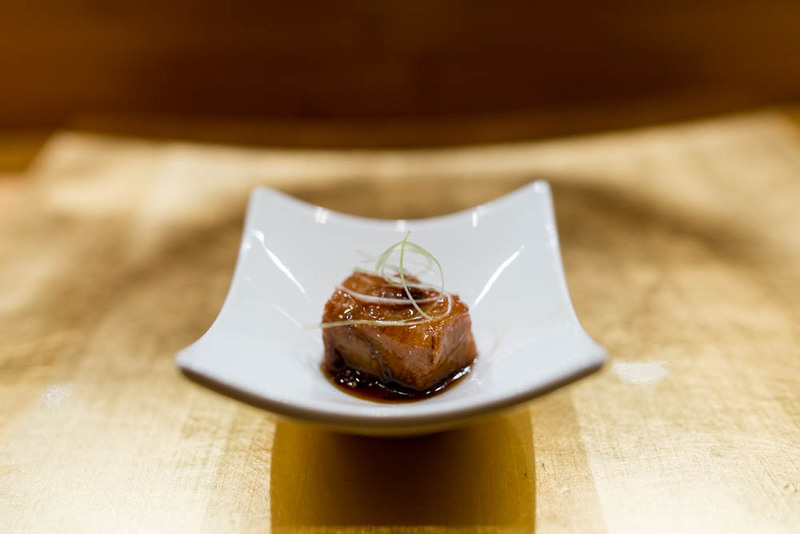 Our meal started off with a glass of chilled sake and an amuse bouche of soy glazed tuna with fresh young ginger. Then, we savored two makimono rolls, a scallop with yuzu, avocado, scallions and chive oil and a spicy tuna and yellowtail with scallions and cucumber. Clean and fresh, these were delicious but not quite enough to steal the show of what was to come. 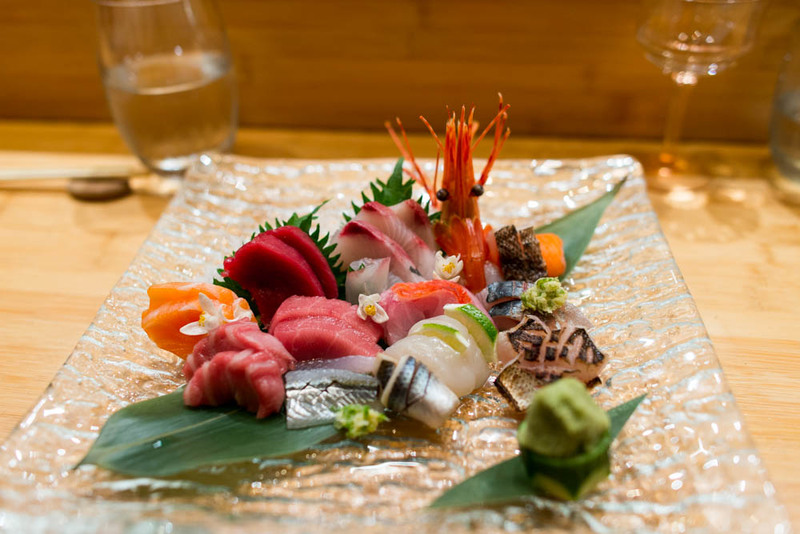 Before we progress to the official omakase, we teased our palate one more time with a chef’s selection of sashimi, overflowing with variety. As soon as we finished the sashimi, the sushi started to appear on the stone slate in front of us. One bite at a time, we savored every piece as it progressed at a leisurely pace set by the chef. 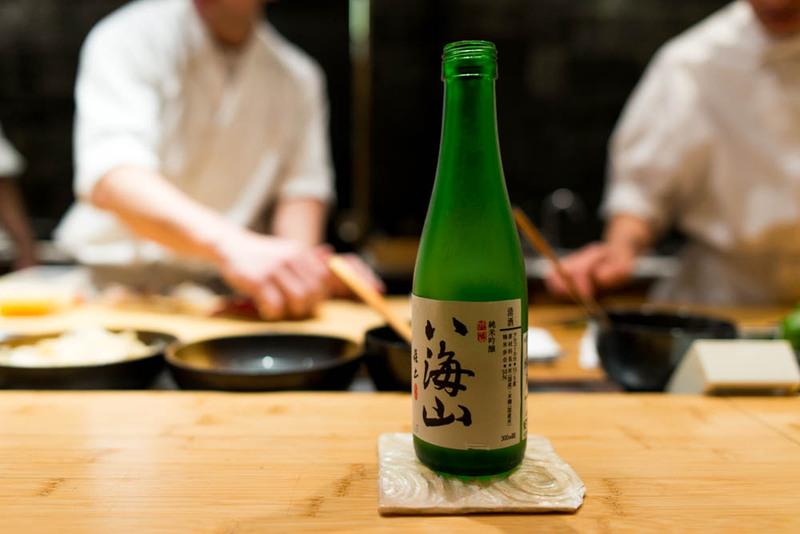 From arctic char to octopus to sea bream, the chef took our taste buds across various Japanese waterways. Fourteen pieces of sushi and one tiny bowl of uni over rice later, we finally ended our journey at Jewel Bako with a delicious bite of fresh water eel. I tried to keep up with the names but gave up after the first bite, too busy enjoying the sushi to care. After all, it will be the abstract memories of flavors and textures that I will take away with me and remember long after our meal had ended and we re-emerged into the night, not the specific names. Not that different from the hazy and ethereal feeling of waking up from a dream. ← What is Better Than Bacon?